David Spade (voice), John Goodman (voice), Eartha Kitt (voice), Patrick Warburton (voice), Wendie Malick (voice), Trudy Styler (voice), Tom Jones (voice). Extremely faint crease across the top right corner, otherwise excellent. 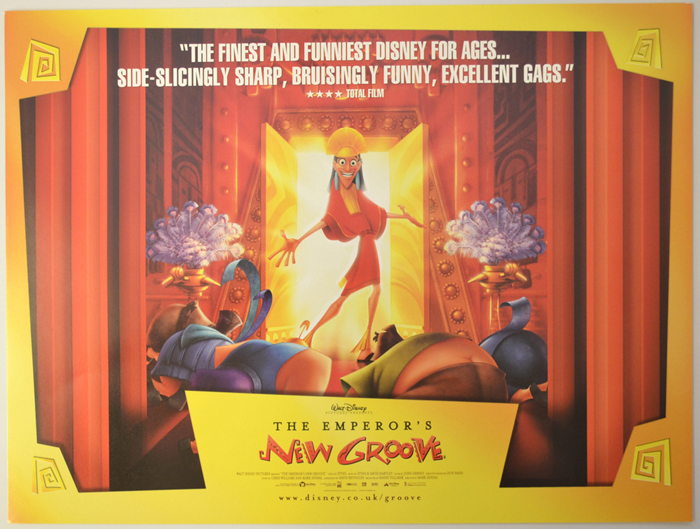 Original Mini Quad Poster (12 x 16 inches) Never Displayed. Stored Flat since year of release.